Fans of Assassin’s Creed couldn’t help but notice that Ubisoft did not release a major game in the series last year, something it had been doing since 2009. There were reasons for this of course, mainly Assassin’s Creed Unity’s botched launch in 2014 and the fact the next game in the series (the London-set Assassin’s Creed Syndicate) did not sell that well. But now the French company is gearing up to release Assassin’s Creed Origins, a reboot of the series which may be hitting shelves this fall, if recent leaks are to be believed. This information also suggests the game will be set in Egypt, something an early screenshot of the game has confirmed too. 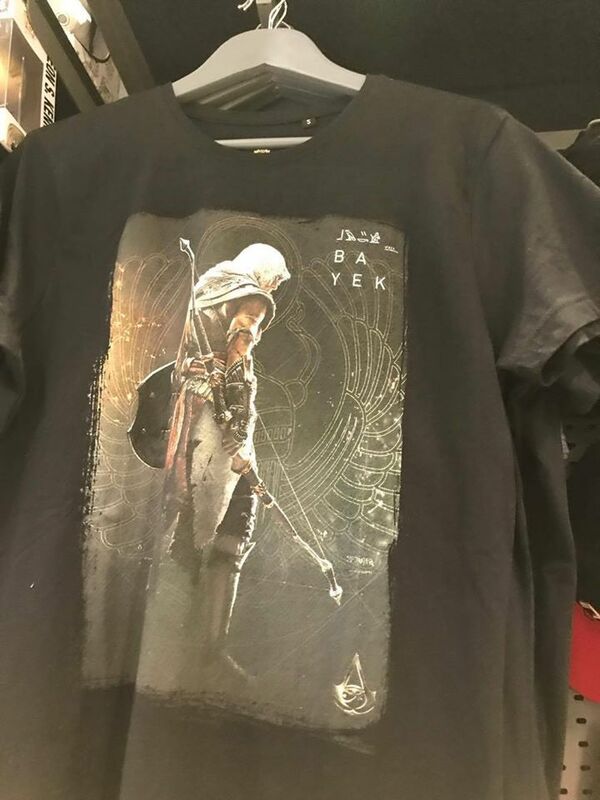 The leaked screenshot which emerged this May also gave us a first look at the game’s protagonist, and now his name has seemingly been revealed on a T-shirt which features the lead character of this upcoming Assassin’s Creed game. The game’s Assassin hero is apparently named “Ba Yek”, and hopefully he will be as interesting a character to play as like earlier Assassin’s Creed protagonists such as Desmond, Ezio Auditore and Edward Kenway of the great Assassin’s Creed IV: Black Flag were. Something else that might draw your attention by looking at the protagonist’s image is that he is shown carrying a bow and a shield. Bows are not new to Assassin’s Creed (they were featured in the otherwise pretty dull Assassin’s Creed III), but it looks like we’ll be able to use shields in combat for the first time in Origins. And since leaks have made it clear that this upcoming Assassin’s Creed game will feature better and more engaging combat (like The Witcher 3, it’s been suggested), it’s likely we’ll be enjoying some pretty exciting fights in Ubisoft’s latest Assassin’s Creed. Actually, combat in the Assassin’s Creed games, while satisfying, has never been the series strong suit. So if Assassin’s Creed Origins manages to deliver something more exciting in this regard, it could certainly win the fans back after the slightly disappointing last few instalments of the series. And going back to the game’s Ba Yek character, it’s likely that there will be a female version of Assassin’s Creed protagonist too. 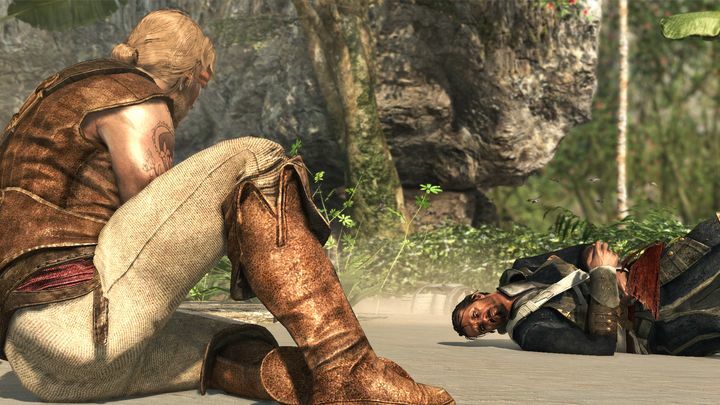 This is because the upcoming Far Cry 5 will allow you to play as a male or female character, and Ubisoft is likely to follow suit in this upcoming Assassin’s Creed game, something one leak has said will indeed be the case. There’s not much more to wait to find out more details about Assassin’s Creed Origins though, as Ubisoft’s big reveal is coming this month at the E3 show in Los Angeles. We’ll keep you posted.